So on today's podcast, I somewhat randomly noted that I used to freelance for the Mansfield News Journal in Mansfield, Ohio. Below is the front page of their website today. 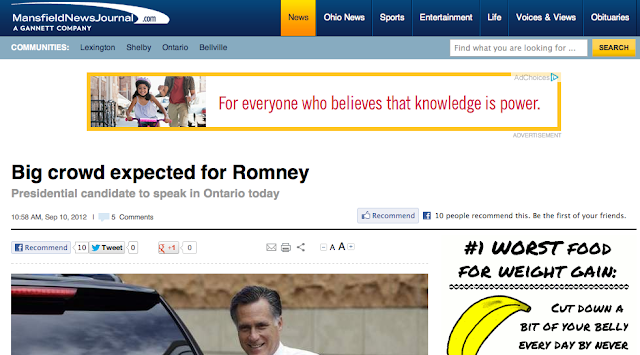 Mitt Romney is there ... and all the AP News stories for today are datelined "Mansfield, Ohio."